Students are given a word and stick it to their shirt. They must go around the room and find peers that have a word with the same number of syllables as their word. Once they have found their group, they stay together. 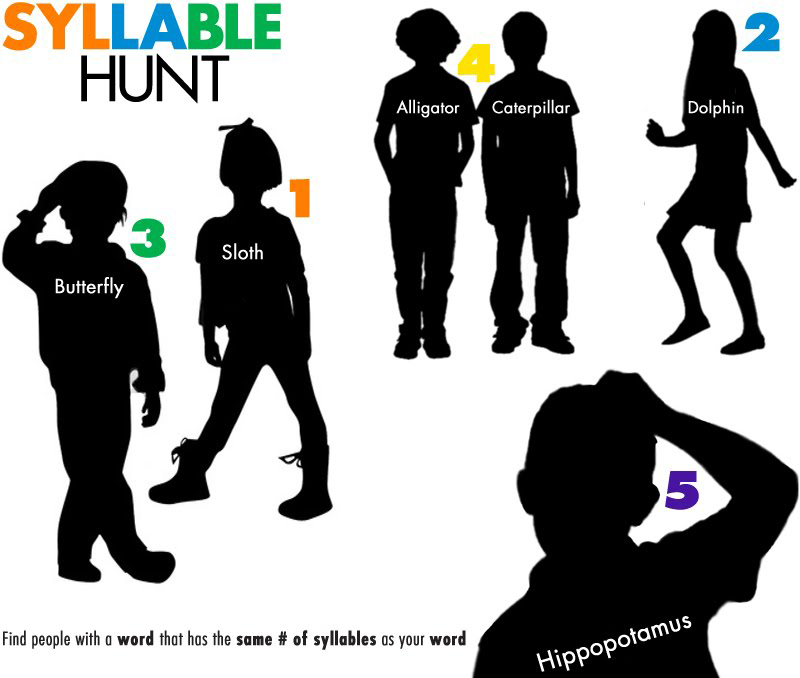 The teacher goes around the room checking the groups and assessing the children's knowledge of syllables.